I began exploring the daily life of the athletes who play polo, in preparation for the Annual Rotary Club of Okatie Polo for Charity event on Sunday, October 28. I assumed that the riders were going to be athlete divas, simply because of the game’s moniker, “the sport of kings.” I quickly learned that the horses, not the riders, are the athletes who get the “diva treatment”—but deservedly so. First off, they are called ponies, although they are typically huge, hulking creatures of pure muscle and singular intent. When the game began centuries ago, no horse higher than 54 inches was allowed, so the horses were technically “pony” sized. Keep in mind that people were much smaller then, too. Today, there is no size limit. Polo ponies can typically weigh well over 1,000 pounds. These full-sized equines get the royal treatment but, frankly, they earn it. Polo is fast, rough and one of the most dangerous sports in the world. They start “playing” the game, or training to play, by age three. Polo horses run the equivalent of two or more miles at full throttle during a seven-and-a-half-minute period of play, and any polo enthusiast will acknowledge that a good pony contributes up to 80% of the team’s abilities. It’s a full-time job for several humans to care for each horse/athlete. So, what does a polo pony day look like? Breakfast could be as early as 5:30 a.m. Depending on each horse’s dietary requirements, they get a mixture of oats and other feed that is usually measured and mixed individually. Horses are left to eat their breakfast and digest it for around an hour while their stalls are cleaned. The horses are each groomed, and then one horse is tacked up; the rider will ride that horse and lead two horses on each side. After they are exercised for about an hour, they typically rest for a few hours midday while barn chores are being carried out. Between Z’s, they munch on hay and relax while their every need is attended to. Grooming is of the utmost importance to these ponies. They are washed down daily and receive a manicure, where their hooves and shoes are picked and cleaned. 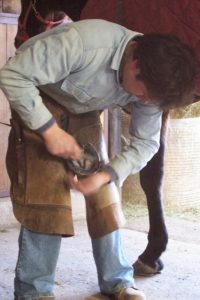 Polo ponies even get a new set of shoes about every 21 days from a blacksmith. Horse’s manes are shaved or braided to prevent entanglement. A free flowing mane and tail would increase the likelihood of becoming entangled with players’ mallets or the reins. Proper healthcare is also essential. All medical needs are met by veterinarians. The vet may even recommend chiropractic adjustments and vitamin supplements. Remember, these are expensive athletes, and proper health care is a must to keep them in top physical condition. Polo ponies purchased in the high-goal world are typically very expensive, often well over $30,000 per horse. 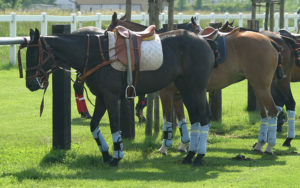 At every professional polo match, it is mandatory to have an equine ambulance with a team waiting on the side of the field, ready to rush in if needed. According to the The Humane Society of the United States and the ASPCA, not one intentional case of neglect has ever been reported in the professional polo world. It is quite clear it is a game played with honor and pride with the utmost respect for the ponies. These horses are intensely cared for, like a professional athlete. They may be pampered, but they are NOT divas. 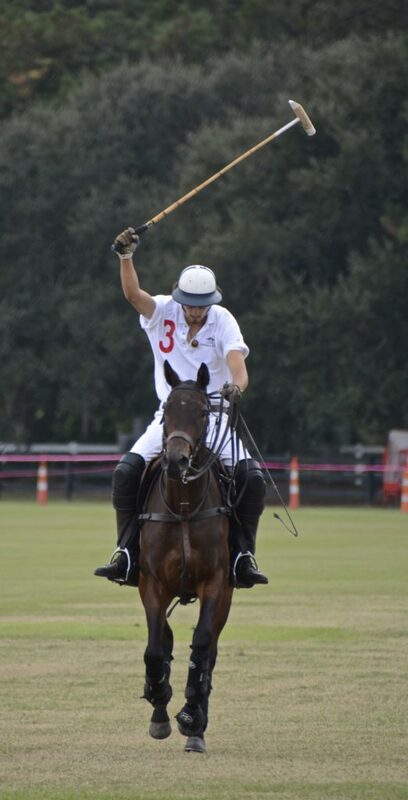 During a polo match, riders are allowed to change horses as many times as they feel necessary, ensuring their horses are not overworked and are safe from injury. The mental and emotional state of a horse is just as important to the polo players as the physical state. If a polo pony is not a calm and happy horse, having formed a trusting bond with the polo rider, they will simply not do well on or off the field.